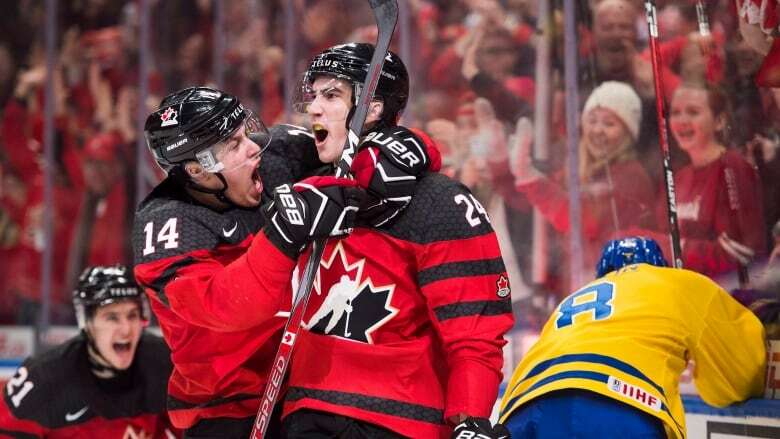 Hockey Canada announced that Edmonton and Red Deer, Alta., will host the 2021 world junior championships on Thursday. "To return to Alberta is an incredible opportunity for Hockey Canada and the IIHF World Junior Championship," said Scott Smith, president and chief operating officer of Hockey Canada. Edmonton last hosted the tournament in 2012, while Red Deer has waited since 1995 for the world's best under-19 players to return. Games will take place at Rogers Place in Edmonton where the Oilers play and at Enmax Centrium in Red Deer, home of the Western Hockey League's Rebels. The 2021 world juniors tournament will mark its 45th edition, as well the 14th time it's been played on Canadian soil. This year's tournament begins on Boxing Day and takes place in Vancouver and Victoria, where Canada looks to defend its gold medal. Who will get invited to Canada's world junior selection camp?